Property investment is one of the most popular areas for diversifying. The real estate market attracts investors because of its typically low risk, tax benefits, and opportunity for cash flow. There are several ways to finance investment property. Some come from private lenders, like venture capital firms, and some are bank-based. If you are investing in property but need some help funding it, here are the best types of loans for your specific investment property financing needs. This is the typical method of financing housing. It’s like taking out a mortgage on your house. You obtain a residential investment property loan by applying at a bank. They look at factors like your credit score and landlord experience. Your credit score should be over 620 if you are applying for a residential loan, and over 730 if you want a strong interest rate. The regulations for these types of loans differ depending on the state. However, loans typically require a 20% down payment. A residential property investment loan is among the most common type of funding. This is the best place to start if you are trying to secure funding. If you are investing in larger property, you will need to apply for a commercial investment property loan through a bank. Examples of a commercial property include an office, multi-family space or retail building. Business and developers often take advantage of commercial loans, but individuals can apply for them as well. There are several different types of commercial real estate loans. They include Small Business Association loans, Commercial Bridge Loans or Hard Money Loans. The type of commercial loan you can get depends on your occupancy length and credit. If your property is commercial, exploring these types of loans will help you finance your investment. Fix and Flip Loans are for financially savvy investors who want to refurbish and resell houses. There are several different types of property renewal loans available. The short-term Hard Money Loan is best for beginners, since it requires little background information and short approval time. You can also explore cash out refinancing or bridge loans, if you are looking for different financing options. Fix and flip loans may be available for experienced flippers through banks, but many first-time flippers will need to seek out a lender. It helps to estimate how much time and money the remodel will cost you before meeting with a lender. If you are looking for a fix and flip loan, do your research first. Private Money Loans can be difficult to obtain, but have innumerable benefits. Private Money Loans come from individuals like family, acquaintances or lenders. This can be a great option for those who don’t have the best credit score, and allows you to acquire the funds for your property quickly. Private loans are typically more flexible than any other investment loans. If you have the opportunity to persue a private loan, take advantage of it. A good relationship between you and a lender can mean lower interest rates and a higher return on investment for both. You can take out loans based on the value of your current home. Rather than taking a loan to finance your new property, you can use the equity on your current home to fund your endeavor. A home equity line of credit allows you to borrow money to finance your investment as needed. Like a typical credit card, your credit is reset when you pay off what you owe. However, this type of financing can be tricky since it involves a high risk for lender and borrower. There are many qualifications for credit lines, including a high credit score and a low debt to income ratio. Additionally, there are many different options for credit lines, like cash out refinancing loans and personal loans. When looking into financing your investment property with a home equity line of credit, it’s important to consider all the stipulations and weigh your other options. 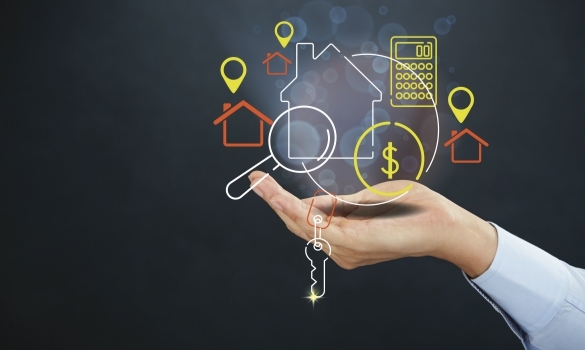 Although investment property financing is a large undertaking, it can be hugely rewarding. Don’t let a lack of funds hold you back from investing. You can get residential or commercial loans depending on your property, obtain loans specifically for improving and selling property, or take a private loan. Credit lines for properties can also help you finance your investment. There are several types of loans to finance your property investment, so consider all your options and choose the one that best fits your situation to reap the largest possible reward, so that you can benefit from the stability an investment property gives your portfolio. You will never have to worry about these types of investments becoming demonetized.